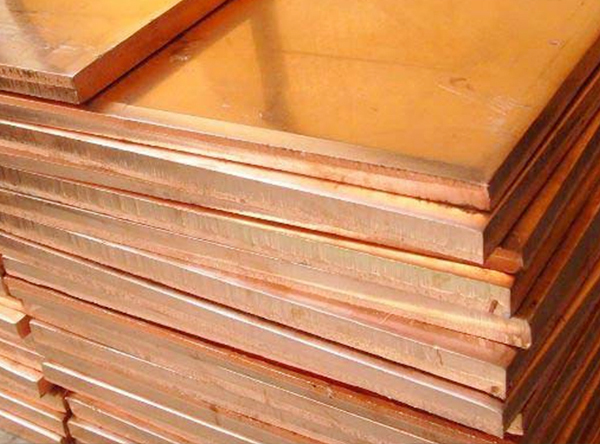 ASTM/ASME B/SB171 Cu-Ni 70/30 Sheets and Plates, ASTM B/SB171 Copper Nickel UNS C70600 Sheets, Cu-Ni 70/30 Chequered Plate, Manufacturer, Suppliers,Exporter, Mumbai, India. ASTM B/SB171 Copper Nickel UNS C70600 Sheets, Cu-Ni 70/30 Chequered Plate, Cupro Nickel 90/10 Coils Leading Manufacturers. Renflex Steel & Alloys Steel is an esteemed company that is pretty much engaged in giving a widespread variety of Copper Nickel Plates, Sheets & Coils.Our Copper Nickel Sheetsare used in cryogenic applications. Its combination of good ductility retention and thermal conductivity at very low temperatures is advantageous for low-temperature processing and storage equipment as well as for heat exchangers at cryogenic plants.Currently, Cupronickel Sheets (Cupronickel Plates) remains the basic material for silver-plated cutlery. For high-quality cylinder locks and locking systems, cylinder cores are made from wear-resistant Cu-Ni Sheets (Cu-Ni Plates). As a supplier, stockiest, exporter and manufacturer, we provide these Plates, Sheets & Coils in custom-built thicknesses and sizes according to exact requirements of our well-regarded patrons.We offer the same at economical prices to our consumers. Cupro-Nickel is a 70/30 copper-nickel alloy that is almost entirely resistant to stress corrosion and is ideal when used in applications involving high-velocity polluted seawater. Typical 715 CuNi applications for use in the chemical and desalination industries include tubes and tubesheets for condensers, evaporators and heat exchangers; tubes for carrying seawater; valve bodies; pump bodies and impellers.